UPDATE: Pitcher J.D. Martin unconditionally released to add Adam LaRoche officially to the 40-Man Roster. Apparently shutout in his efforts this off-season to land a top of the rotation starter, Mike Rizzo hasn't used that as an excuse in his efforts to build a competent and competitive roster for the upcoming 2011 season. Today's signing of all-around utility player Jerry Hairston, Jr. to a one-year contract may have been one of Our Washington Nationals General Manager's better decisions all winter. Except for catcher and pitcher, the 34-year old can play every other position on the diamond. Defensively, Hairston's pretty solid. Offensively, Jerry has some pop left in his bat and can still even steal a base here and there. Better yet, Jerry Hairston, Jr. goes to the ballpark with a smile on his face every single day. He's the type of player fans like to root for. Back in the early 2000's, Jerry Hairston, Jr. didn't become the star player The Baltimore Orioles believed back then. But he did develop into a competent and professional baseball player. Just like the organization Mike Rizzo is competently putting together over at Nationals Park these days. There is Big League Depth at every position now. No longer are the days when a everyday player goes down, the replacement is a struggling minor leaguer. Jayson Werth was Rizzo's "Wow Factor" signing at the Winter Meetings. Every roster move since has been a move of need. Take a look at what Mike Rizzo has accomplished. Washington needed a solid defensive minded first baseman--Adam LaRoche was signed for two years. Rizzo needed a better bench for Jim Riggleman to manage games--signed were Matt Stairs, Alex Cora, Rick Ankiel and now Jerry Hairston, Jr. Corey Brown was traded for in a deal for Josh Willingham. Unable to get that top of the rotation starter, Rizzo needed not just numbers, but pitchers with Major League experience. Mike picked up flame thrower Henry Rodriguez as a potential closer, signed pitcher Chad Gaudin as a free agent, added reliever Todd Coffey today and traded for lefty hurler Tom Gorzelanny for three Nats minor leaguers yesterday. Three youngsters, by the way, whose chances of being impact players for the big club were slim. 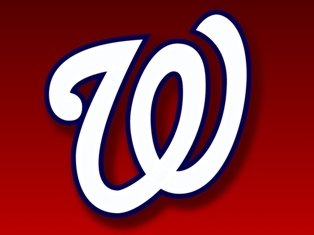 Our Washington Nationals are probably not contenders just yet, but for the first time in the six years since baseball returned to the Nation's Capital, there is a solid crop of young players coming through the minor league pipeline to the big league roster nearly all at once--Ian Desmond, Danny Espinosa, Wilson Ramos, Drew Storen and Bryce Harper. Ryan Zimmerman is still the face of this franchise, but Jayson Werth is his new sidekick. LaRoche making it a trio. Washington may be as solid as any team in the National League behind the plate with Pudge Rodriguez, Ramos and Jesus Flores. Up the middle, Desmond, Espinosa, Alberto Gonzalez, Hairston, Jr, Nyjer Morgan or Roger Bernadina can pick the baseball with some of the best in the game. Starting pitching wise, Jordan Zimmermann stands out for his youth, aggressiveness and talent, but behind him stands a solid group of professionals in Livan Hernandez, John Lannan, Jason Marquis and now Gorzelanny. Not overpowering, but competent. Ross Detwiler and Yunesky Maya need to step things up, but those two don't have to begin the 2011 pressured to making the rotation. That's a big step up from previous years. And Washington's bullpen with Sean Burnett, Tyler Clippard, Doug Slaten, Craig Stammen, Collin Balester, Storen, Rodriguez, and a few other up and coming youngsters is solid. In fact, if Stephen Strasburg wasn't unfortunately out for the majority of this season with his injury rehab, don't you think the prospects for Our Washington Nationals 2011 would be considerably higher? We do. We can clearly remember Mike Rizzo telling Sohna and I after a press conference recently at Nationals Park that he see's Stephen Strasburg as his big 2012 Free Agent signing. A big piece to the puzzle necessary to make the next big step. But it's clear that Our General Manager is piecing the puzzle together right now, knowing that when Strasburg does fully recover, Our Washington Nationals can not only make the next big step, but be competitive for the division title as well. Mike Rizzo is being competent without giving away the farm nor the future. PS: By the way--don't you get this feeling that all of these signings and trades for Big League Talent is setting up another trade or two down the line? Without Gorzelanny or Coffey being added to the 40-Man Roster officially--Washington has 24 pitchers active. They also have eight outfielders. Rizzo might not be done yet.